My kids are at an age when they are starting to put aside childish ways, but they are not yet putting aside traditions. 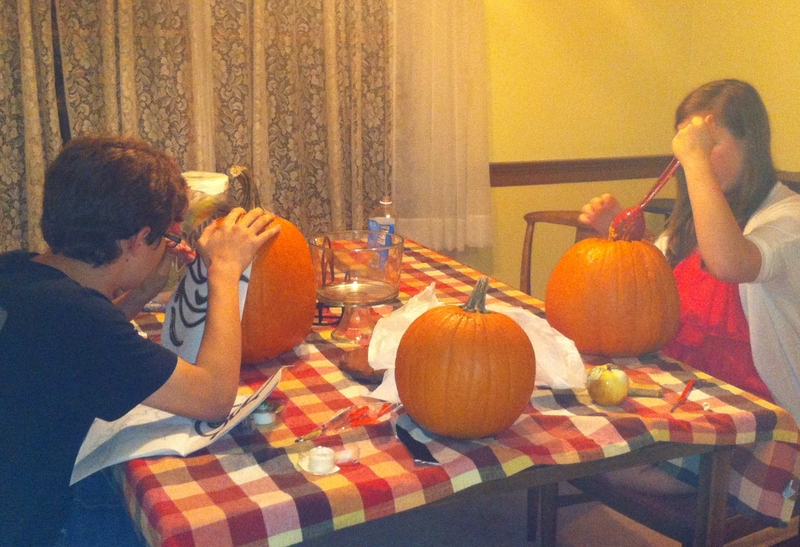 They still enjoy decorating Christmas cookies, hunting for Easter eggs and turning pumpkins into jack-o-lanterns. They don’t just enjoy these activities, they expect them. I know the day will arrive when pumpkins will stay pumpkins during Halloween. But for the moment, the jack-o-lanterns on my front porch and in my driveway always make me smile. Posted on October 31, 2013, in Family, My life, perspective and tagged 365 reasons to smile, Family, Halloween, musings, perspective, smiles, tradition. Bookmark the permalink. 73 Comments.